Humbleton Hillfort may have initially been founded in the Neolithic period but the univalate defences visible today date from the Iron Age. The site supported numerous Round Houses and was expanded over time to include additional annexes and enclosures. The site seems to have been deliberately destroyed prior to abandonment. 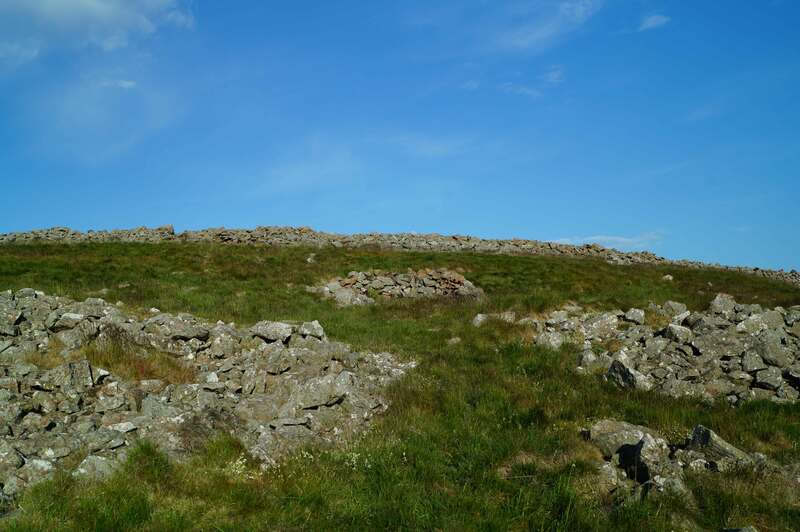 The hillfort of Humbleton Hill consists of two predominantly stone built ramparts with adjoining enclosures. 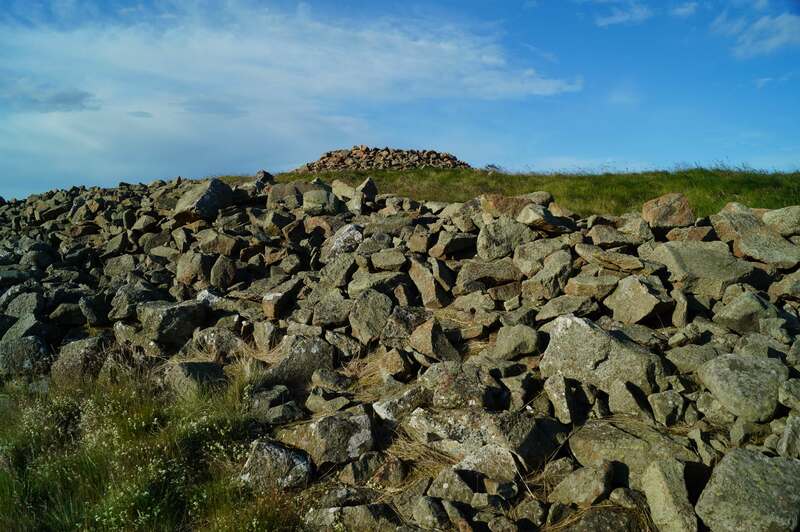 It is uncertain when the initial fortification was constructed - it is mooted to have been either Bronze Age or Neolithic - but the univalate defences date from the Iron Age and its final configuration suggests possible post-Roman occupation. Further modifications were made during the medieval period when the site was used as a shelter for shepherds. Humbleton was a substantial settlement with strong defences. Defended by walls over 3 metres thick and probably at least several metres tall, it would have dominated the area. On the south side the rampart abutted a steep ravine further strengthening the position. The site enclosed around 3 acres and was later expanded by additional annexes - both these and the original site had a variety of circular huts within. There is some evidence that the ramparts were deliberately destroyed prior to abandonment - some authors have taken this to be indicative of Roman military action although there is little to corroborate this theory. Over a thousand years after the site went out of use, the Battle of Homildon Hill (1402) was fought on the lower slopes of the hill. Brown, I (2009). Beacons in the Landscape: The Hillforts of England and Wales. Windgather Press, Oxford. Dyer, J (2003). Hillforts of England and Wales. Shire Publications, Princes Risborough. Historic England (2016). Battle of Homildon Hill (1402). Listing No. 1000014. Swindon. Hogg, A.H.A (1979). British Hillforts: an index. British Archaeological Report, London. Pryor, F (2010). The Making of the British Landscape. Penguin Books, London. Waddington C (1998). Humbleton Hill Hillfort Survey. Northern Archaeology Vol.15/16. The ruins of Hambleton Hillfort include the ramparts, now heaps of stone, and some earthworks. The site offers good views over the surrounding area including the scene of the Battle of Homildon Hill (1402). Humbleton Hillfort. The name of the hill is now known as Humbleton although the medieval name was Homildon. Ramparts. The line of the ramparts can still be appreciated but the walls are now reduced to piles of stones. 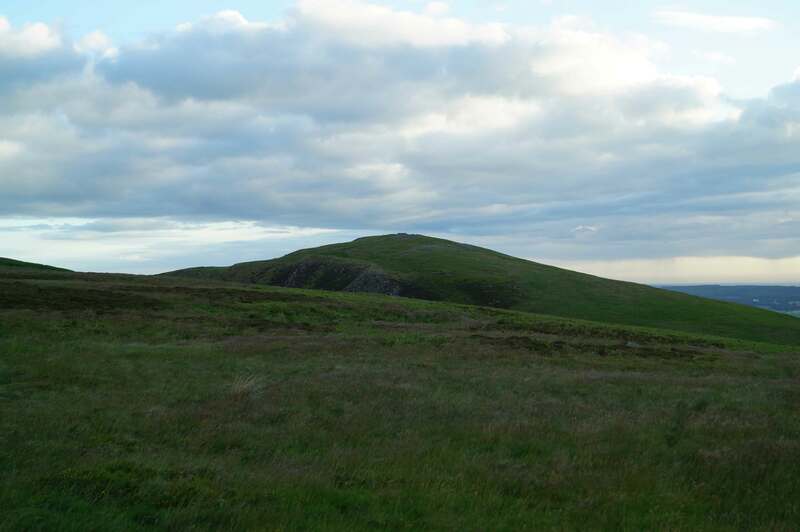 The hillfort is best accessed from a footpath to the south. This is not sign-posted but can be found off an unnamed road that is connected to Common Road in Wooler. There is a small car park and the route to the summit is shown on the map below.